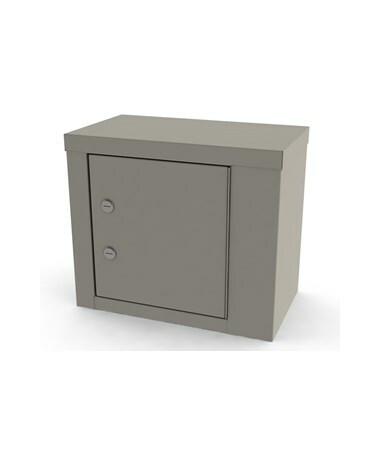 Choice of sizes: 18" or 14"
The UMF Double Lock Narcotics Locker is the perfect solution for any exam room or healthcare facility. 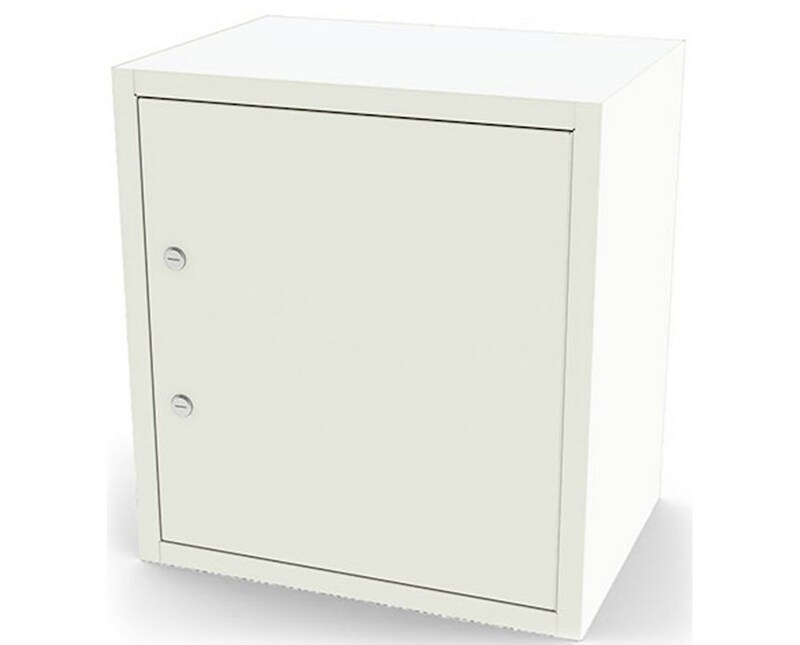 Made of all steel and welded for superior strength and rigidity, the narcotics locker will hold up to the most demanding circumstances. UMF Narcotics Locker features a single door steel construction, double cam-style lock on outer door with two keys which are keyed differently. 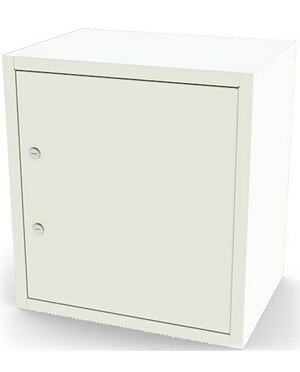 The UMF Double Lock Narcotics Locker can be ordered in any of the 8 standard UMF colors. We offer UMF Double Lock Narcotic Lockers in two sizes. Select from the drop down menu above. Purchase this product directly online. View the available color chart and note your choice in the Special Instructions field during checkout. 20 gauge steel cabinet construction. 20 gauge double wall door. 2 Cam style locks with two keys per lock. Heavy duty piano style door hinge. Choice of sizes: 18" or 14". Product Weight 46 lbs. or 17 lbs. Tiger Medical offers a 30 day return policy from date of shipment, subject to a 50% restocking fee, in addition to the return shipping charges. The product must be in new condition and in its original packaging. We take the responsibility to make sure this product arrives in brand new working condition. Should your item arrive damaged, we will replace the product at no cost to you.